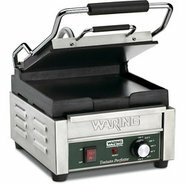 Generic - Waring Compact Italian-Style Panini Grill This compact Italian style sandwich press is the ultimate commercial panini grill. 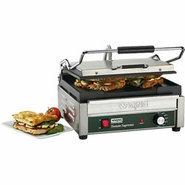 Generic - Waring Large Italian-Style Panini Grill This sizeable panini grill press has more cooking surface to do more Italian-style grilling. 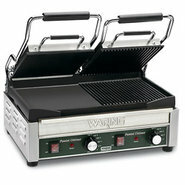 Generic - Waring Dual Panini Grill Get your split-top electric panini grill with two flat grills two ribbed grills or one of each!